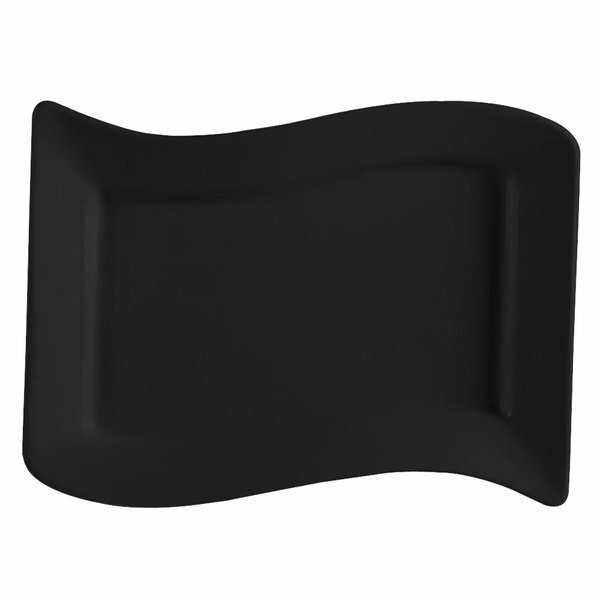 This CAC SOH-13BK black 12" x 8" wavy edge Soho rectangular platter features a contemporary color and fashionable, flowing lines that will help you create stunning food presentations at your trendy cafe, bistro or restaurant! Mix and match colors and sizes to add an element of surprise to any meal! This plates is really awesome. I used this one for my individual competition, the color is black and it really shines my sauce. I strongly recommend my chef to order this for our restaurant.